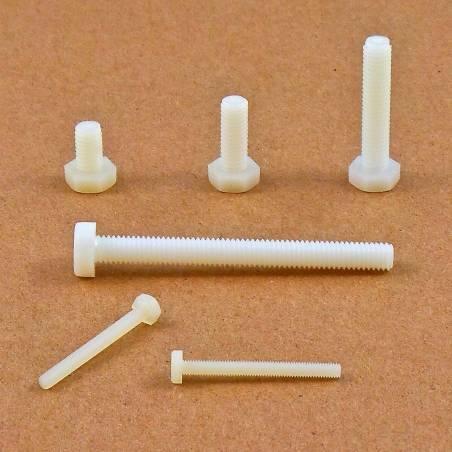 Plastic Screw : plastic bolt, nut and washer. 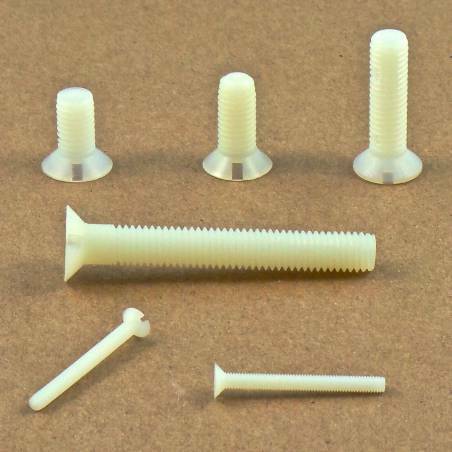 Our team of experts in plastic fasteners and bolts offer a wide range of plastic screws, plastic nuts & plastic washers for DIY and assembly operations of all types. 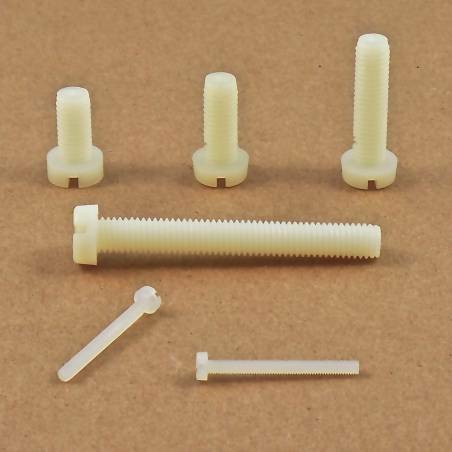 Amidst our numerous categories dedicated to plastic screws and bolts, you can buy nylon DIN84 slotted screws, nylon DIN963 countersunk screws and DIN933 hex bolts in sizes ranging from M2 to M12. You can also find different models of plastic washers and nuts in various shapes and sizes. 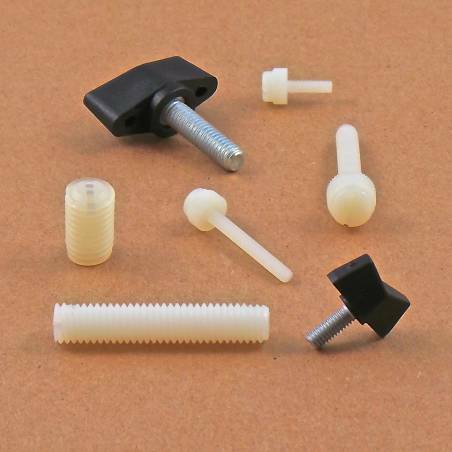 Discover all our plastic screws, washers and bolts and chose the product most suited to your needs. 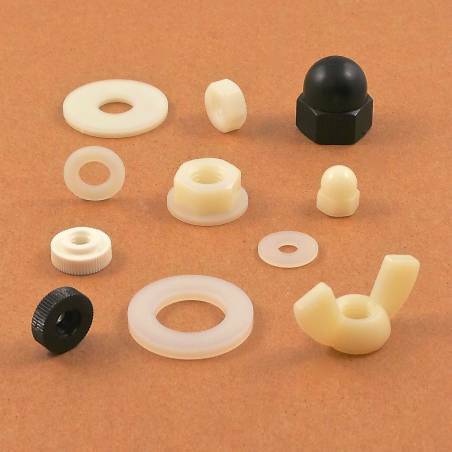 With Ajile.biz, French manufacturer of fasteners and plastic hardware, make your choice of the best plastic screw, nut, bolt and washer and have your product shipped immediately to the comforts of your home.